i can’t begin to tell you how crazy this week has been. from birthday parties to project deadlines to severe thunderstorms (and tornadoes) & power outages…i’m worn out! for the horribly late post – i apologize. My very delayed motivation for this past week is the most recent purchase made in our house. 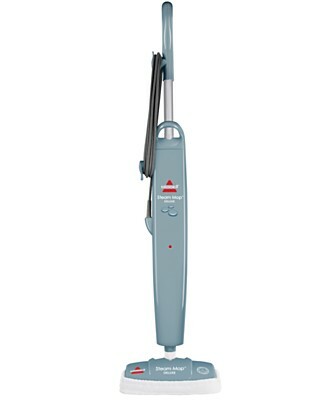 the bissell steam mop deluxe. DISCLAIMER: i am not affiliated with bissell or its retailers in any way. i haven’t been asked to or paid to review this product. i bought it with my hard earned money and have fallen in love with it – therefore am working to change the world, one clean floor at a time with it. If you didn’t already know, this is Mulder. 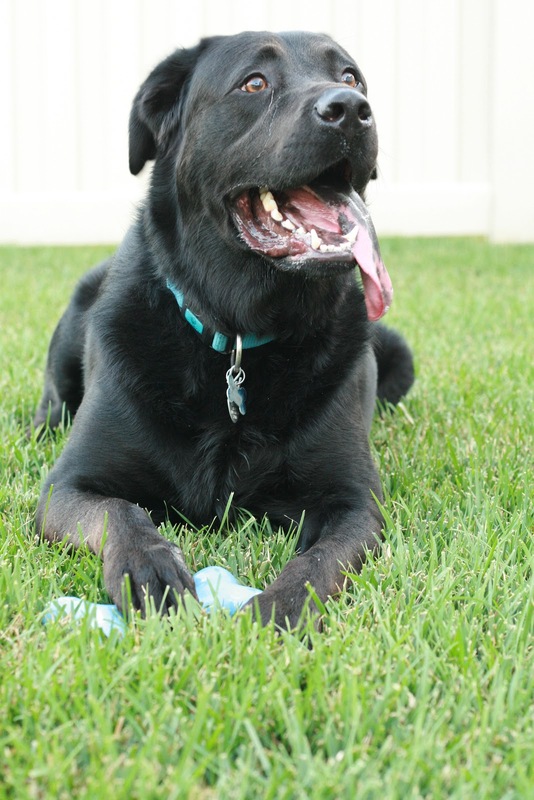 He’s a 4 year old black lab, german shepherd mix. he’s very, very messy. if he’s not shedding, he’s drooling. and he drools a LOT. he’s the main reason why our floor is so horribly hard to keep clean. until recently, “cleaning this floor” had been me on my hands and knees with either a paper towel, a clorox wipe or a sponge and bucket and scrubbing the hell out of it – never ever getting all of it clean. finally – finances worked out to be able to splurge to bring this new gadget home from target – and OH MY…how my our lives have changed. our floor has become 2-3 shades lighter than it was when we bought the house! above, you’re seeing the clean floor, the mop, and the two included mop heads (before & after). also included with the package was bissell’s version of “eucalyptus spearmint scented, de-mineralized water” which makes the first few uses (where you’re getting all of the dried on gunk off) amazing – mainly because you’re not smelling the nasty stuff cooking off of your floor (in our case – Mulder drool). the gist of this is: you un-box it, put it together, plug it in, wait for it to warm up and presto – go to work. there’s a trigger you pull to create more steam – which when held on a spot for 15 seconds sanitizes…i’m not kidding when i say this product has changed our lives. the micro fiber pads soak up everything that you put out of it, never leaving puddles to slosh around. we’ve had it for two weeks now – used it 4 times and are still getting all sorts of dirt off of the floor. through our talking about it, we’ve led a co-worker of burt’s to buy one as well as his parents (both of which have thanked us for gushing about it – stating that it as well, has changed their lives). So yes, i am changing the world, one clean floor at a time – and i love it! Next Post kitty photo friday – or monday?